A number of Worthing Harriers’ Special Olympics squad members travelled to Bournemouth to take part in the last event of the season. 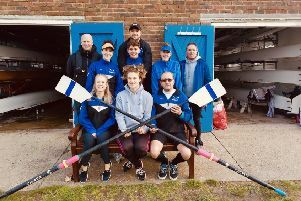 The travelling contingent made the most of the nice weather, coming away with 11 personal bests, 13 gold, six silver and five bronze medals for their efforts. Top performers were Taylah Forthergill with two golds, a bronze and a personal best in the 100metres (14.3sec) and Kaya Gontheir with two golds, a bronze and a personal best in the javelin (7.23m). Newcomer Ashley Moore also won two golds, a bronze and had personal bests in the 100m (14.6sec) and long jump (3.5m). In the under-13 age group, Noah Matthews Matosya won two golds and recorded personal bests in the javelin (4.34m) and 100m (20.7sec).